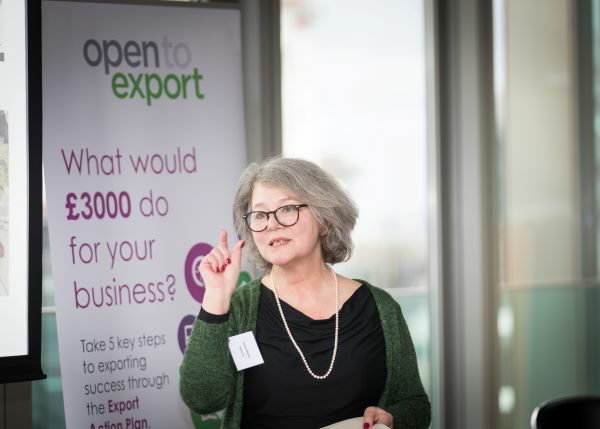 We recently hosted our 10th Export Action Plan Competition final in London, with Age Check Certification Services Ltd taking home the £3000 cash prize sponsored by Bibby Financial Services. Since then, we’ve interviewed 10 finalists about their export plans and tips. Here we talk to Quintessential Tips Ltd.
We do retail, ecommerce, smoking tips, print and packaging. Exports are doing well; we have been approached by a well-known company in the EU who is to become our agent. It helped me to understand the ‘holes’ in my understanding of the export paperwork required. Make sure you understand the legal requirements in different countries. Quintessential Tips is an internationally recognised, multifunctional brand that specialises in hemp and CBD based product development. It offers international wholesale distribution of our brand, as well as hemp paper print and packaging services. Over 30 years, Quintessential became well known internationally for our own brand of ‘smoking tips’, manufactured in Cornwall, from environmentally friendly papers including Hemp. Quintessential Tips Limited were the global originators of bleach free papers in the smoking market, now widely imitated. To date, we have sold over 15 million units and have distributed to more than 12 countries including the US, Canada, and Europe. In addition, we have a rapidly growing Online CBD Supermarket established 3 years ago. We are also the first company in the world to package our CBD products in Pure Hemp paper. Innovation is at the heart of the Quintessential brand, so this year we are aiming to introduce yet another world first with an online B2B platform service, offering businesses their marketing and stationery essentials printed on 100% pure Hemp Paper. Together with my team, we have arranged a research collaboration with Imperial College to unlock the potential of Hemp Paper as a safe and sustainable alternative for food packaging. We are also founding members of the British Hemp Association which aims to Educate, Lobby and Connect the British Hemp industry and are working with farmers to reintroduce hemp paper manufacture in the UK. We believe that the future is bright for Hemp products globally and as pioneers we look forward to spearheading the paper sector revival.